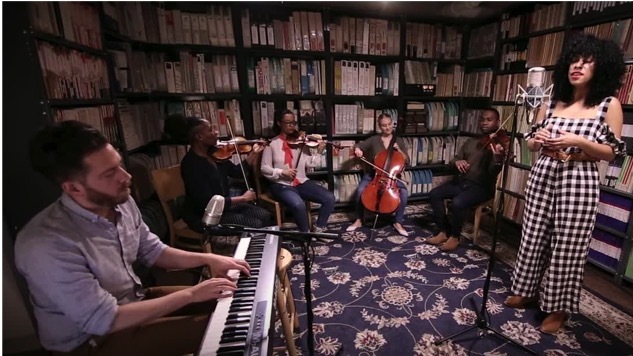 From string quartets to brass bands, the musicians who played the Paste Studio in NYC last month ran the gamut of instrumentalist formations. We also welcomed bands with ties to Syria and the Nile River, as well as from all over the U.S. and right here in the Big Apple. After polling our New York staff, here are five of our favorite sessions from April 2017. Violents + Monica Martin played their first official performance together righter here in the Paste Studio. The duo, which includes pianist and songwriter Jeremy Larson and former PHOX frontwoman Monica Martin, was backed by a gorgeous string quartet, who they had also just met that morning.